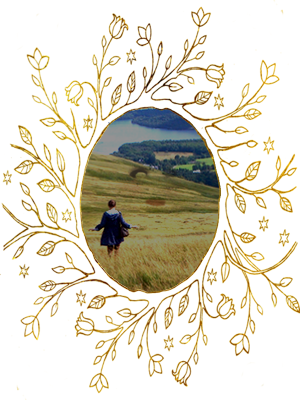 Helena Rookwood has spent a long time researching all there is to know about Faerie. Like her character Madeleine in The Hagstone, she’s happiest when she’s poring over old books and imagining what the world used to be like. More recently, Helena has also been wondering what the world might be like in the future – whether there will ever be a turn back to the Old Ways, when people cared about stories and the little people and the land they lived on. This was the starting point for her Riverwitch series, a deliciously dark tale about fairies and witches and earth-magic which is set in post-technology Britain. She promises you’ll love it. 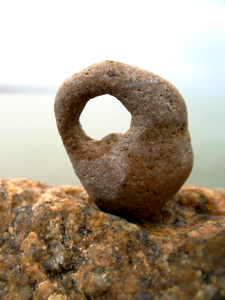 Hagstones really do exist, and really were said to let you see into the faery world. Where Helena lives, she looks for them washed up on stony beaches, but you can find them almost anywhere. Helena has never heard of anyone successfully using a hagstone as a door, but would love to know if you’ve heard otherwise. If you’ve got any other questions for Helena, the best thing to do is to send her an email. She particularly likes hearing from people who want to share old folktales, send her pictures of their pets, or gush about how wonderful her books are. She replies to every email from her readers herself. If this sounds like the kind of conversation you’d like to have more regularly, you can also subscribe to fortnightly letters from Helena. Go on. You know you want to.